Members of the Narragansett Society and AIA range from professional archaeologists to archaeology enthusiasts. Click on the link above and follow the instructions to join online, or contact the Narragansett Society with any further questions. Affiliation with the Narragansett Society, where you can attend lectures by distinguished archaeologists and participate in other engaging events. There are over one hundred local societies in the United States and Canada. 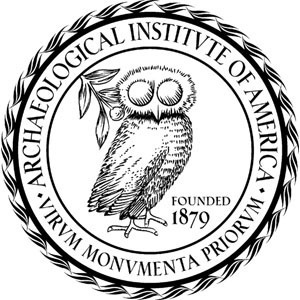 The latest archaeological news through the bi-annual AIA Newsletter, and the weekly eReport. 30% discount on registration for the AIA Annual Meeting, where the latest archaeological research and discoveries are presented. The opportunity to join one of 9 archaeology-related interest groups. Interest groups bring together AIA members with shared interests in specific topics, usually regional or scholarly areas of study. An exclusive membership decal to proudly display your connection to America’s oldest and largest archaeological organization. Information about AIA Tours which explore the world’s most intriguing archaeological sites with leading AIA experts. Eligibility to apply for one of numerous AIA fellowships for students and other scholars. Academic job seekers may also use job placement services at the AIA Annual Meeting. Members may choose to receive one or both of the AIA’s premier publications: Archaeology Magazine and the American Journal of Archaeology. Please check the AIA website for further information on AIA membership. Questions regarding overall AIA membership can be sent to Tracy Spurrier, the AIA Membership Services Coordinator.